Do You Give a Flying Flip? Have you heard of Flying Flips? I just did today and love it's concept! It's a community for art & design, a platform for social change, and an opportunity for artists to get paid for their creativity! 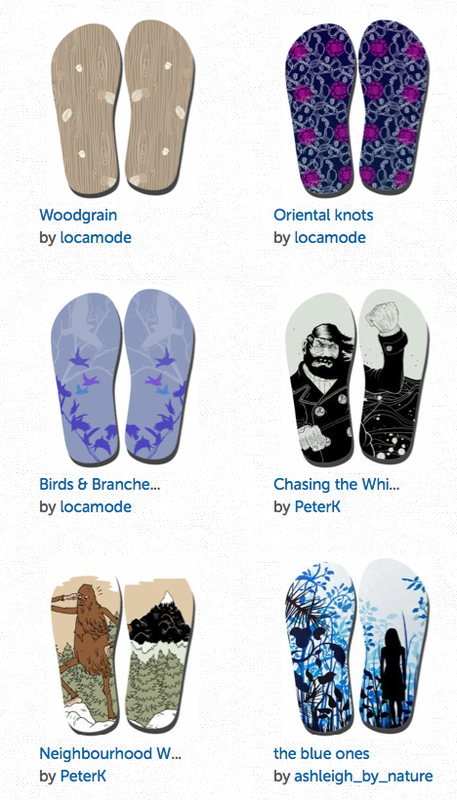 Design a flip-flop, vote for faves and for every pair of flips bought by you – they flip one to a fellow human in need! Also it's a Vancouver-based company! Flippin' cool! Check it out here!